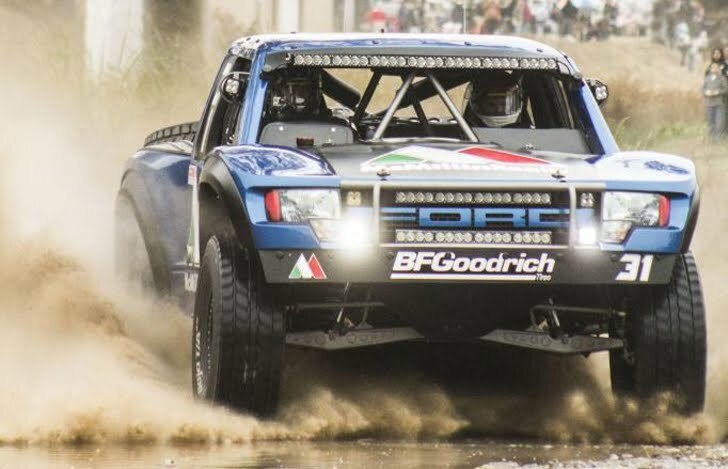 Andy McMillin, #31 Trophy Truck, seventh in class and seventh overall four-wheel vehicle. Andy McMillin drove start to El Crucero. Scott McMillin drove to Loreto. Andy drove to the finish in La Paz, Baja Sur. We had a pretty solid run. I had two flats early. I didn't hit anything but they just went flat and that was disappointing. I had no flats on my second run but we had some electrical problem or ignition problem and the truck was shutting off on me up toward San Felipe. We lost a lot of time dealing with that. We spent 15 minutes in the pit trying to diagnose the problem but couldn't find anything. We just kind of cruised in from there and knew we weren't in contention. The course is pretty much the same as 2010 but there are a few extra washouts because of the hurricane. It was a fun course but rough.